I try to protect myself, and my family, from the fact that we’re collectively clueless on the future. I also know that my memory rarely extends back more than three years. So, from time to time, I force myself to consider history, and what happens if we revert to the mean. What does a chart of short term rates tell me about my unconscious influences? The chart tells me that, at some level, I’m acting as if interests rates are going to stay at zero forever. In my case, this means that I’m prone to taking more portfolio risk than I would back in, say, 1981 (when cash was king). How would a return to normal, as well as, a continued period of abnormal impact my family? What would I do differently if I knew that rates were likely to move upwards over time? What’s appropriate for a younger investor? At 45 years old, a higher rate environment would see me take less financial risk. For most of my financial life, I was happy to have money sitting in a savings account. In this extended period of zero interest rates, it’s been painful to have a savings account and I’ve moved out of cash. Despite telling myself that I’m conservative, my cash holdings are the lowest percentage of my portfolio in my adult life. The short-term rate chart (above) covers most of my life, let’s borrow a chart from Ritholtz’s blog and see what normal looks like across many generations. 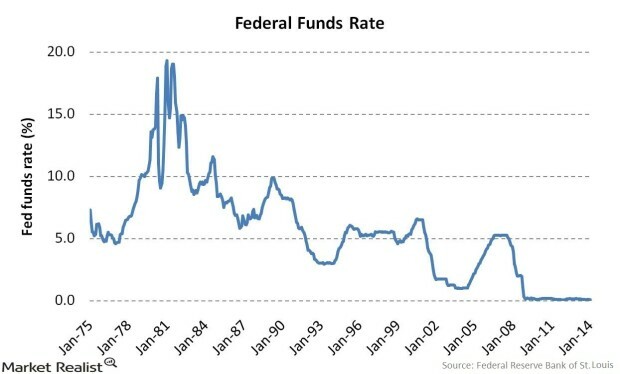 The chart below looks at long-term rates, which are less volatile than short-term rates. My kids’ generation – ? 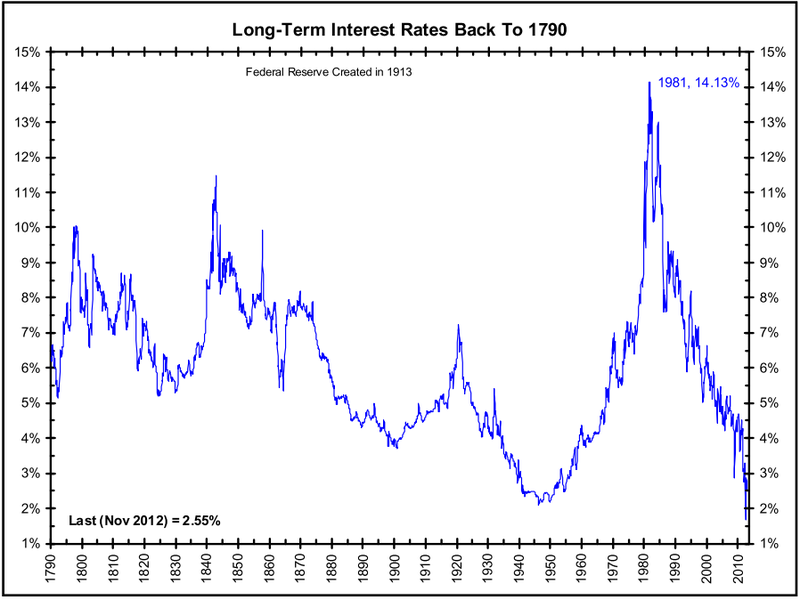 Looking at the chart, I note that there are periods (say, 1935-1955) where rates can stay low for a long time. How can I reduce portfolio risk in a way that protects my family if rates stay low for longer than we expect? When considering a move to cash (or a lower family net debt position), rank portfolio holdings in terms of yield and exposure to future capital gains. The lowest return assets in many personal portfolios are condos, large main residences, vacant vacation homes, surplus land and luxury items. Right now, the “cost” of holding these low-return assets appears to be far lower than historical norms. Would I hold these items if cash could earn a low risk 2.5% per annum? 5.0% per annum? 7.5% per annum? If you’re highly leveraged with short-term or floating rate debt then it’s worth considering if your life would change if rates moved up. Over the last two years I’ve downsized my main residence, sold non-core low return assets and max’ed my long-term fixed rate borrowings. In 25 years of investing, it’s been a paradox that the best time to sell is when I’m most tempted to hold on. This entry was posted in Uncategorized and tagged family finances, family planning, finance and investing, financial education, real estate investing by Gordo Byrn. Bookmark the permalink.